Stretch Mark Cream smooths away the signs of stretch marks while you sleep. 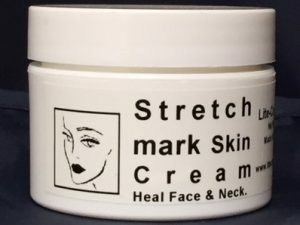 Stretch Mark Cream’s ingredients helps smoothing out stretch marks, and beautify the skin. Contains alpha hydroxy and Organic Seaweed Extract, Organic Green Tea Leaf Extract, Organic White Willow Bark Extract.